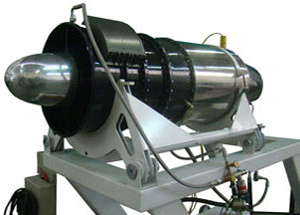 Military engine capable of providing up to 1000 lbf of thrust power. A very good choice for high performance UAVs, Cruise Missiles and air target drones. 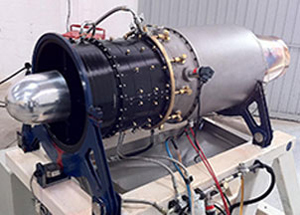 The large number of possible applications for this engine makes it very attractive and a potential exponent within brazilian aeronautical industries. 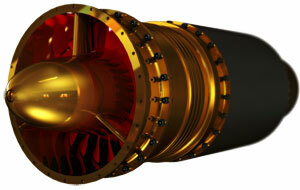 Military application engine capable of providing up to 1200 lbf of thrust power. A very good choice for high performance UAVs, Cruise Missiles and air target drones. 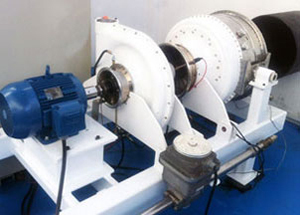 Stationary gas turbine for application in waste burrials, uses the residual natural gas produced by MSW as fuel. Capable of providing up to 1000 kW of shaftpower, can be used together with an electrical generator to provide electrical power, giving a good destination to MWS residual gas. The engine has a 6:1 compression rate compressor, annular combustion chamber and two stages axial turbine rotor. The product release is expected to take place by the end of 2013. TJ200 was specially designed to be used in either small cruise missiles or small high performance UAVs. The most important advantage of TJ200 engine is small diameter and a relatively low SFC (Specific Fuel Consumption) when compared to other engines of the same thrust, what makes TJ200 perfect to be used in long range small missiles.